I am popping in with a super quick post and share of a card I recently sent out to a crafty friend. Dimension is not a friend of snail mail, but today's card incorporates both texture and mail-ability, which is always a win in my books! 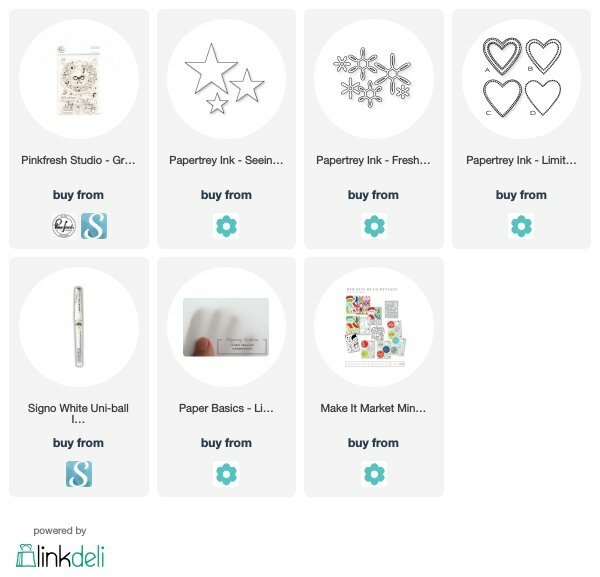 I have a couple of strategies to share, so let's get started! 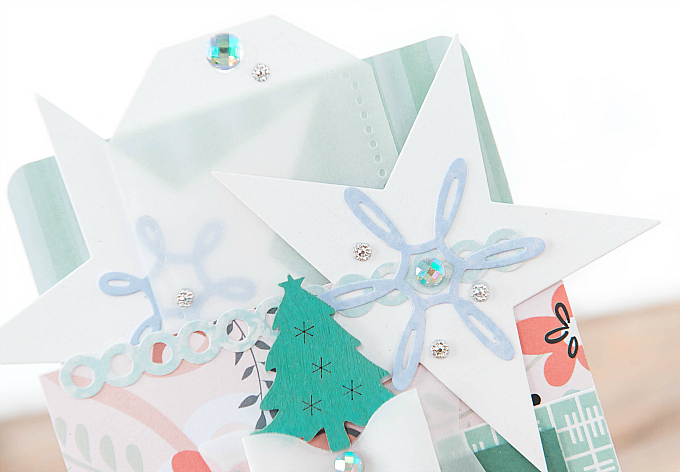 To start my little card, I layered some paper patterns onto a white base. I also adhered a smaller, patterned backing to extend the size of the card and create a pouch (by adhering only the sides and bottom of the added extension). Instead of a traditional card, which would have two layers and open up, I've saved a little bit of thickness by opting for a tuck-in, single-layer card. Using a vellum tag (which is a lot thinner than cardstock) also helps allow for a little extra room to play with textures. I had to figure out a way to write on the vellum tag, since it's a bit of a slick surface and standard pens don't work all that well. Luckily, my Signo roller pen worked like a charm! 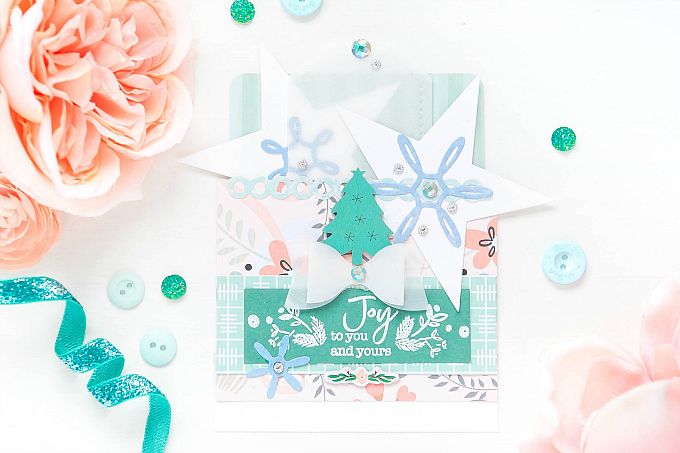 To decorate the card and add a bit of dimension, I used white stars, cut with PTI's Seeing Stars collection, and added blue snowflakes with PTI's Freshly Fallen dies. 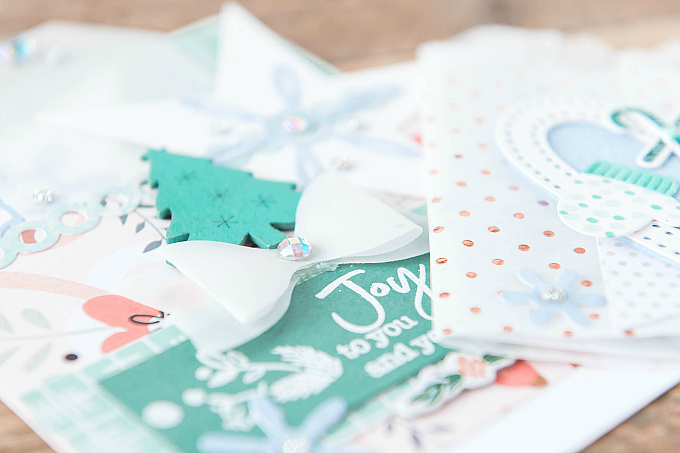 Using layered paper die-cuts, adds a lot of dimension and interest, without a lot of bulk! By alternating colors of the diecuts, you can add even more interest, such as with the white and blue bits above. Just below that, I added a little chipboard tree, which is another fun way to add dimension that is not too bulky. 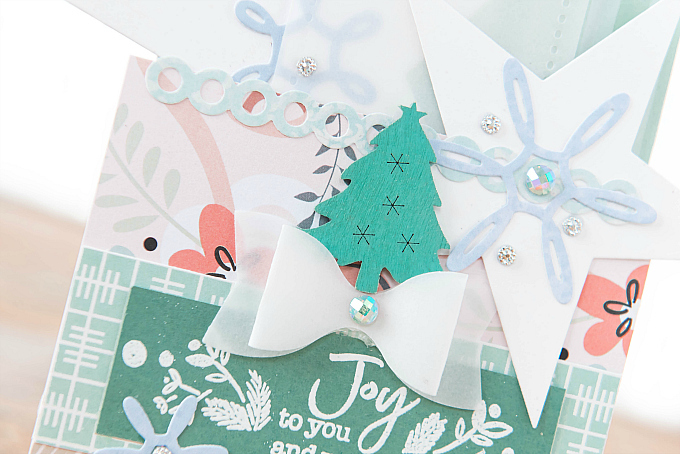 I also added a vellum bow, which is a super easy way to add some extra dimension, and it folds flat for mailing. To accompany the card, I made a little wrap pouch out of dotted tissue paper, that holds two little glassine baggies filled with rhinestones and sparkly accents. 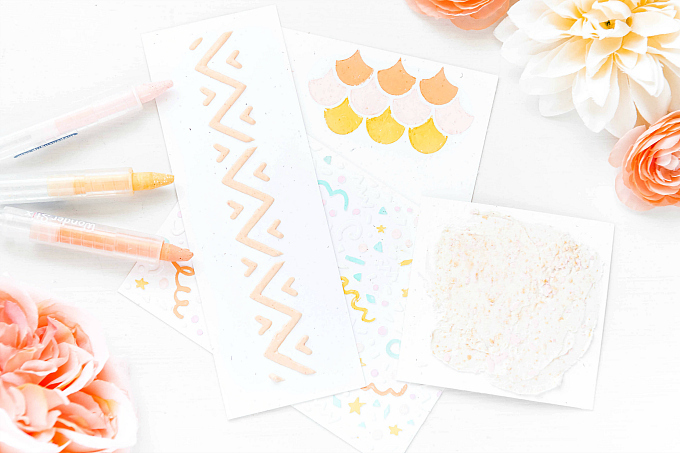 Because what crafty gal doesn't love to get a little sparkle! To decorate the baggie, I used various hearts, and adorable, dotted mittens colored with Spectrum markers. Thank you so much, Rachel! That is so kind of you to say! So glad you stop by to visit and comment, it means so much to me! Merry Christmas! 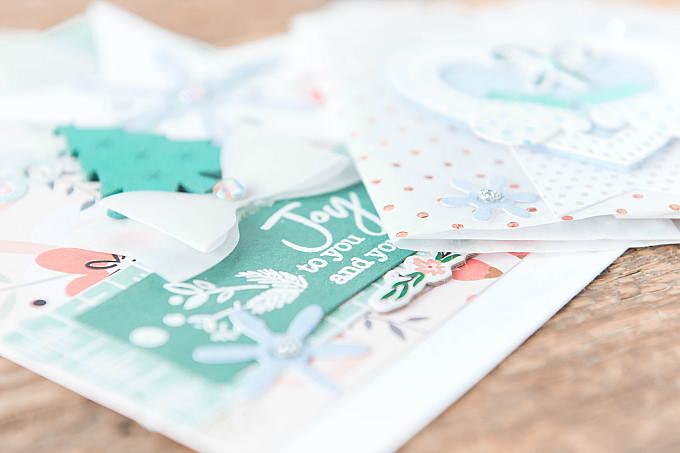 I do love your use of non-traditional colors for your Christmas projects! Marvelous work once again! Aw thank you, Lisa!! Sending you big hugs!